The only design and build landscaping franchise in New Zealand. Franchise owners do not need to be landscapers. The technical expertise required to deliver great design, trade skills and project management are employed by the Zones Franchise Manager, in conjunction with Zones training and the Franchise system. The Zones franchise model has key roles that manage these areas so that the Franchise Manager can focus on building a scalable business. An opportunity to build a significant business asset. Be part of a well known, national brand. Be part of the wider Traffic and Refresh Renovations group. Utilise the experience and IP of New Zealand’s leading business growth specialist, Traffic. Fully integrated & easy to use IT system. It is a unique consumer offer in a fragmented market. Landscaping is a large and growing market. Utilise group buying rates for materials. Enjoy working on outdoor projects that enhance the lifestyles of your customers. 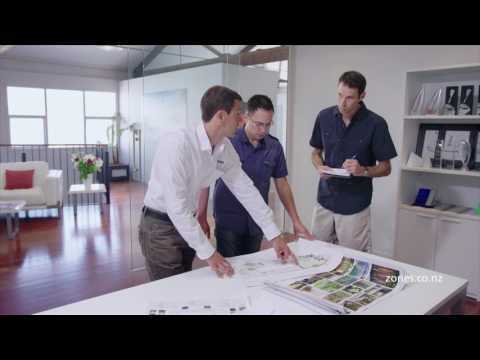 Zones is recruiting franchisees across New Zealand and Australia. Request more information now and join our free information seminars! Design and build residential landscaping franchise. We provide full training for new franchisees. This includes a 2-day training course in Auckland, followed by a 12-week induction program once you become operational. We also provide ongoing training, support and mentoring through regular quarterly reviews and annual conferences.